Double Vinyl LP in fullcolour gatefold cover. Presenting the first perfomance of Hermann Nitsch's grand and large-scale "Traubenfleisch“ symphony. Recorded September 2nd, 2017 at the 10th Anniversary of the Nitsch Museum in Mistelbach/Austria. Performed by Orchestra "Klangvereinigung Wien“ and a new local ("Weinviertel") choir formed especially for this occasion. 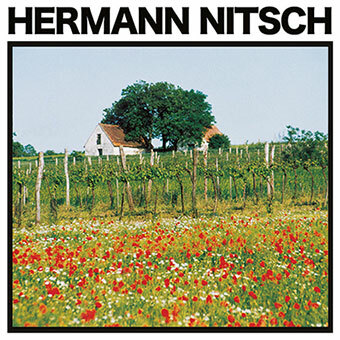 There are also some few copies of the special pre-order edition of 60 copies available including a fullcolour photo-print (21 x 21 cm) signed by Hermann Nitsch and extra loose labels.